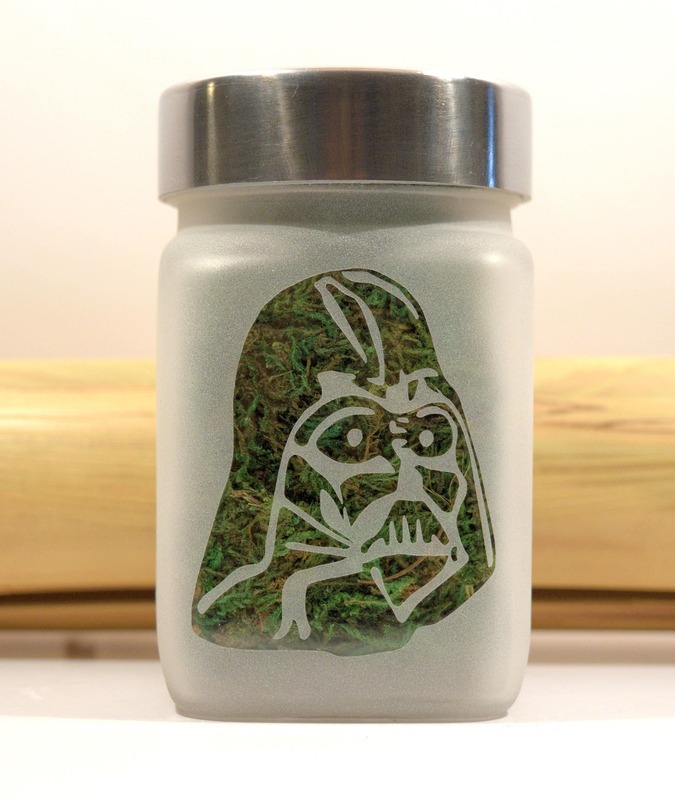 Darth Vader stash jar inspired by Star Wars. 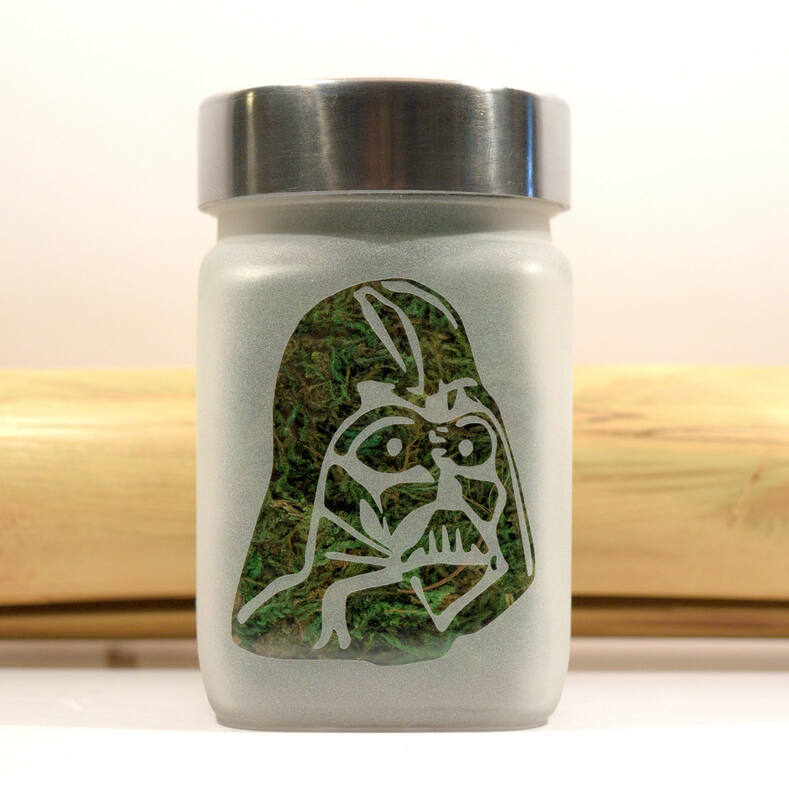 Star Wars Darth Vader stash jars are stoner gift and great weed accessories. 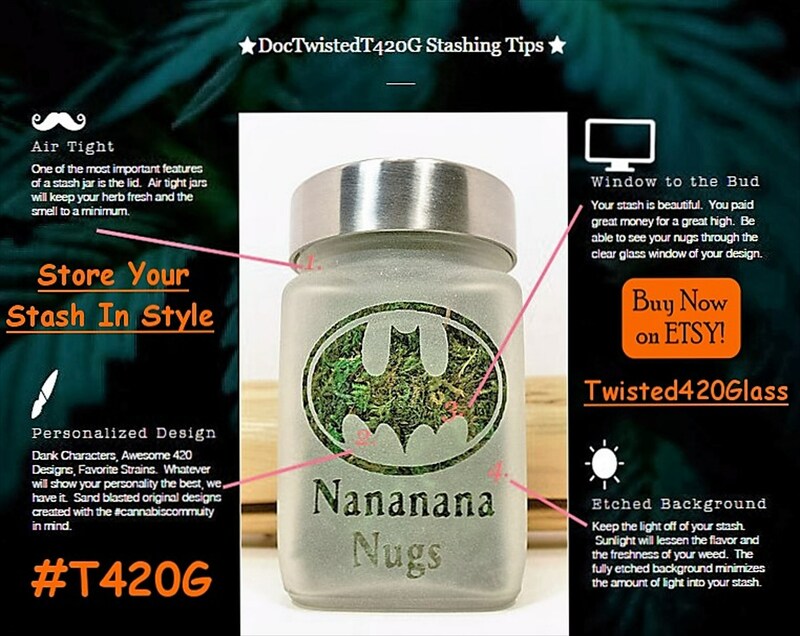 Dope jars by Twisted420Glass are great cannabis gifts. 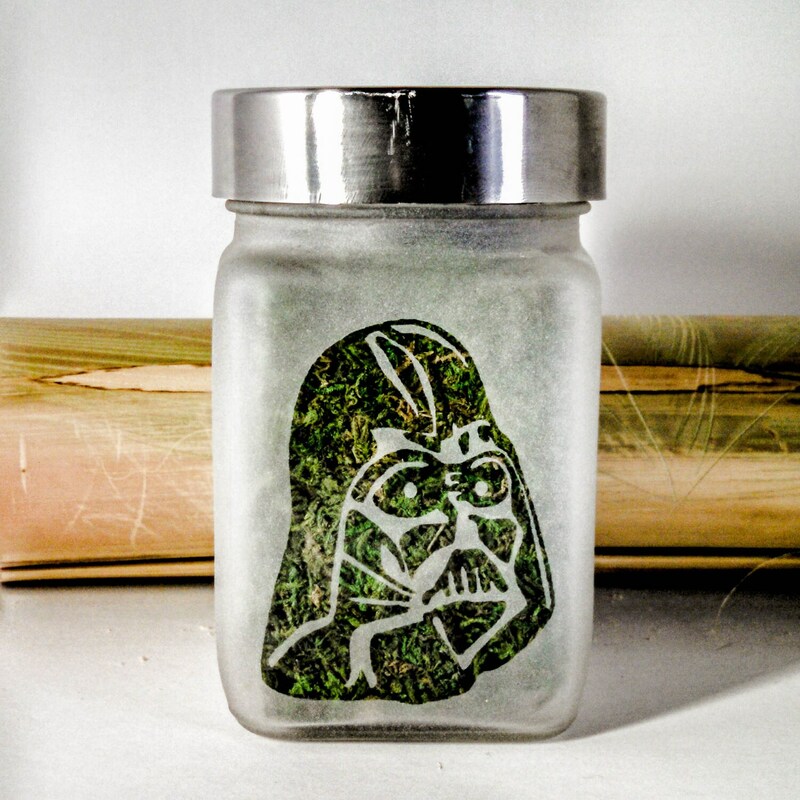 Weed jars for Star Wars Fans will keep your herbs & mmj fresh. Food grade medical marijuana stash jar, brushed aluminum screw on twist tight lid. 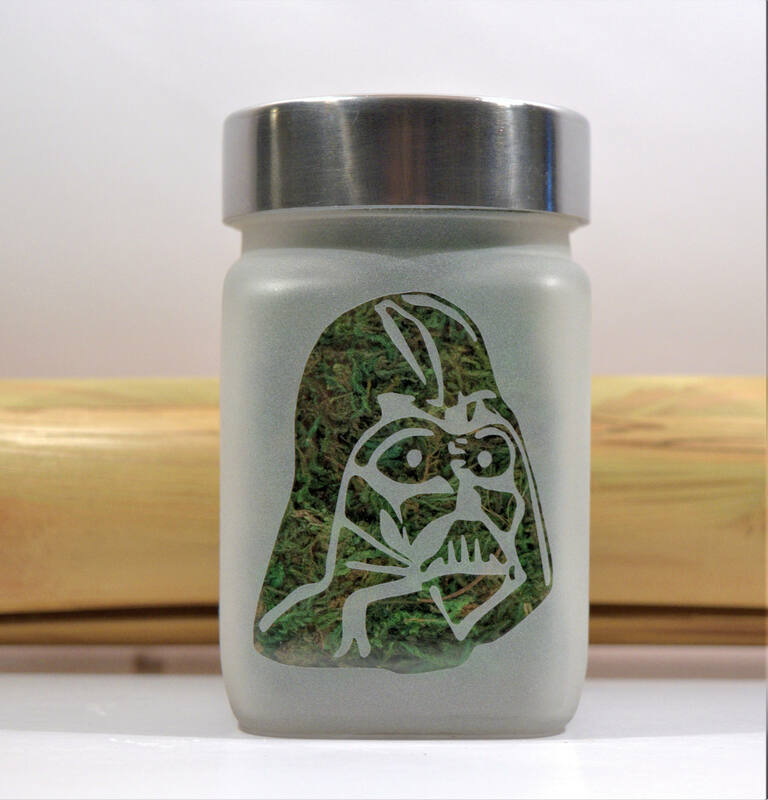 Darth Vader stash jar size roughly 2.5"w x 3.5"T.
Weed accessories make the perfect cannabis 420 gift. 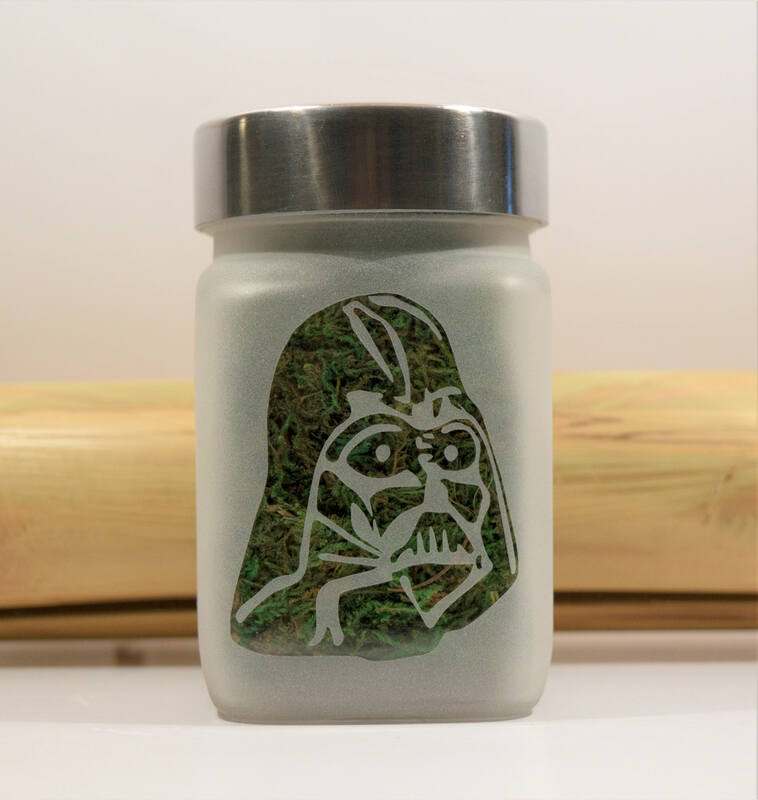 Dope jars go with your favorite glass weed pipe, herb grinder and glass bong. 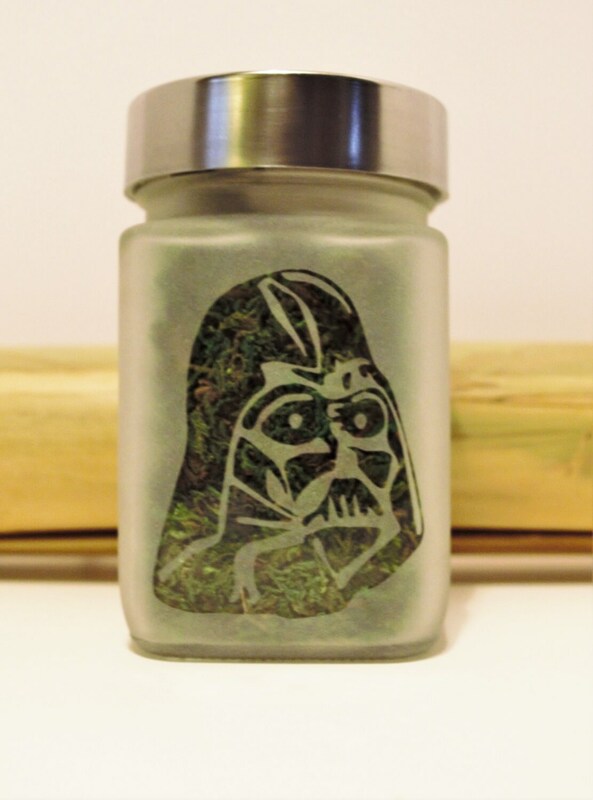 Note: The bud jar image in photo has a green back drop. 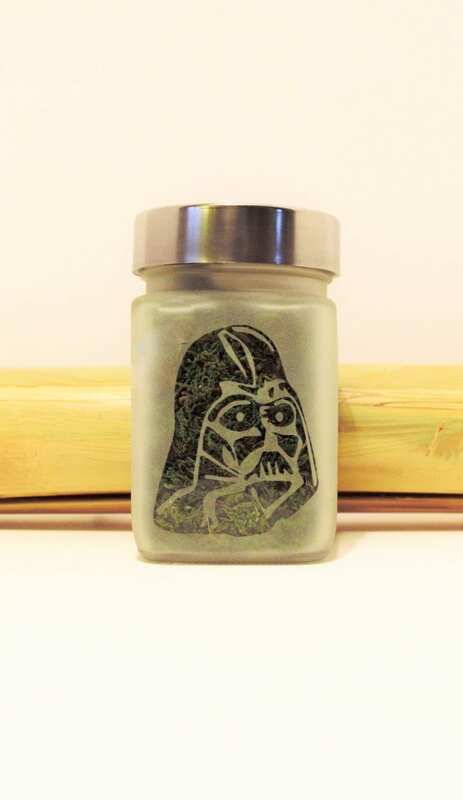 When it arrives to you the Darth Vader design will be clear glass. All other sides are solid etched.